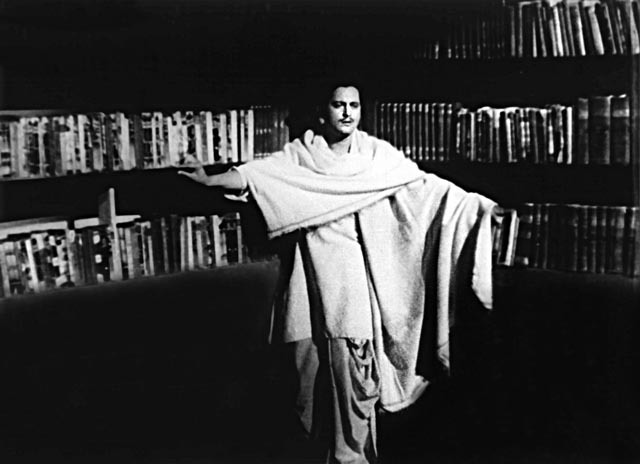 Pyaasa is a 1957 Hindi film produced and directed by film maker Guru Dutt and features him in the lead role. Based on the life of a young poet struggling to make his work appreciated, it was also a great musical feat and boasts of one of the best performances by S.D Burman, Sahir Ludhiyanvi and Mohammed Rafi. The story was by Abrar Alvi. 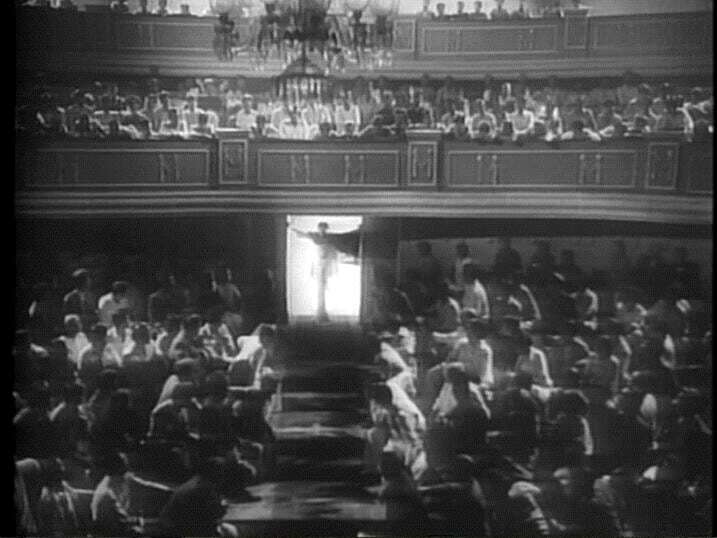 Pyaasa is considered as one of the finest films ever made. Vijay is a struggling poet whose work finds little appreciation among the people. Even his family does not support him and the paper on which he writes his poems is sold as scrap by his brother. Unable to take the humiliation anymore, one day Vijay stays at home as little as possible and is often out roaming in the streets. One day he encounters a soft-hearted courtesan named Gulabo, who is enchanted by his soulful poetry and falls in love with him. She goes to a big publisher, Mr. Ghosh and gets Vijay’s poems published. Mr. Ghosh realizes the potential of Vijay’s poetry and feels those will be a good money-maker for him. As a matter of coincidence, Vijay finds out that Mr. Ghosh is married to Meena, his sweetheart from college days, who chose financial security over love. One day, a beggar to whom Vijay had given his coat, comes under a train and dies. Vijay gets injured while trying to save him and while he is in hospital, the beggar is mistakenly identified as himself and it is assumed that he is dead. When he returns from the hospital, Mr. Ghosh, afraid to lose the money off his works, refuses to identify him. Even Vijay’s brothers and his close friend Shyam are bought off and he is declared a lunatic and sent to a mental asylum. However with the help of his friend Abdul Sattar, Vijay manages to escape from the asylum, and reaches a place where his memorial service is being held. Seeing him there, his brothers switch sides with a rival publisher and declare that it is him. Disillusioned with the hypocrisy and corruption of the world, the bitter poet denounces everything. He declares that he is not Vijay, and that the Vijay they all knew is dead. With this, he walks away to start a new life with Gulabo. It is difficult to write a commentary on Pyaasa, the film has been put on such a high pedestal that looking at it from a critical aspect becomes a daunting task. When Pyaasa was made, India was a nation which had broken the shackles of slavery very recently and was experiencing a major political and social transformation. The gradual impoverishment of an artist in an increasingly industrial world, the difference between grand Nehruvian dreams and the struggles of daily lives, this film somehow refuses to take the easy escapist route and dwells into dark realism. While the Film Industry was upbeat and tried to project a grand vision of India, Guru Dutt, by his inherent nature, does not shy away from showing the rot and hypocrisy in the society and the loss of human values. The way this film transcendentally manages to merge human pathos into larger realms of humanity is incredible. Suffering is the underlying current of Pyaasa and it is the dignity attributed to suffering that makes it special. Vijay’s defiance is expressed more in his silence than his words, and his disdain from everything around him. Abrar Ali wanted the protagonist to accept the shortfalls of the society and make amends. However Guru Dutt was unyielding in his depiction of the maverick poet. The Song “Sar jo tera chakraye” composed by S.D Burman was based on a tune from British Movie ‘Harry Black’. Waheeda Rahman’s role in Pyaasa was based on a real life character. Abrar Alvi and his friends were visiting Bombay and they decided to visit the red light area. Alvi got talking to a girl who called herself Gulabo. According to Alvi, “As I left, she thanked me in a broken voice, saying that it was the first time that she had been treated with respect, in a place where she heard only abuses. I used-her exact words in the film”. Pyaasa is in the Time Top 100 films of all time. The film was remade in Tamil, Malayalam, Kannada and Telugu.